Now that the weather is finally warming up, we look forward to spending more time outside in our gardens and parks. Creating an area to sit and enjoy the sunshine (or the shade) is always a great idea when designing the landscape of your garden. 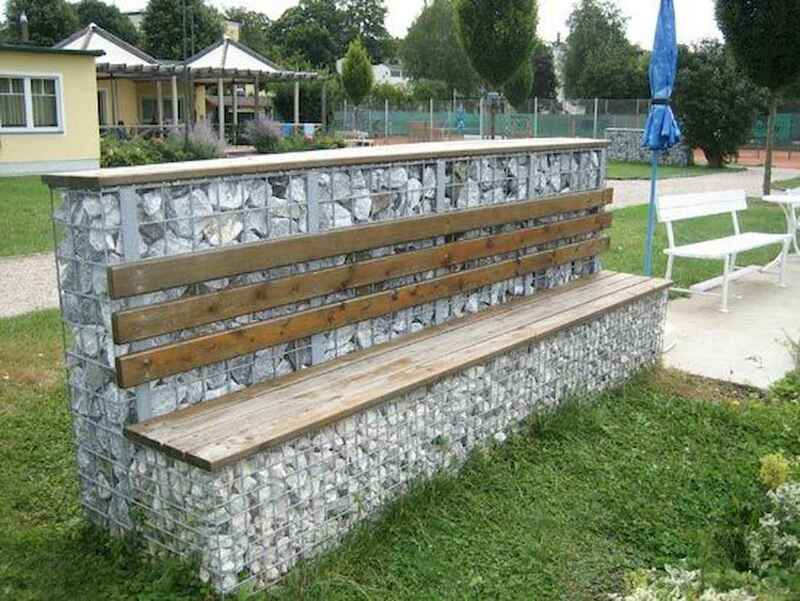 Whether it’s a place for quiet contemplation or for more social gatherings, Gabion Bench Seats are a unique way of adding a seating area to your garden. The usual choices for Gabion fill are rocks or pebbles, which can enhance and blend with the natural environment. The bench seats can be designed to fit any area and can be straight or curved with a choice of materials for the top of the seating. We have selected 75 Gabion ideas. Enjoy!